On Utah's 'Silicon Slopes,' Tech Jobs Get A Lift Thanks to tech companies, Utah generated jobs at a faster rate than any other state in the country — with the single exception of North Dakota. The outdoor life is attracting thousands of workers, but the boom is also being fed by the recruitment of top researchers and venture capital investment — a formula that helped create Silicon Valley. Computer-system-design jobs in Utah shot up nearly 12 percent in 2011. Scientific and technical jobs jumped 9.7 percent. With job opportunities expanding, the state is having little trouble attracting new residents. As a rock climber, Backcountry CEO Jill Layfield says moving from a Silicon Valley tech company to one in Utah was a no-brainer. "Not difficult at all," she said, laughing. 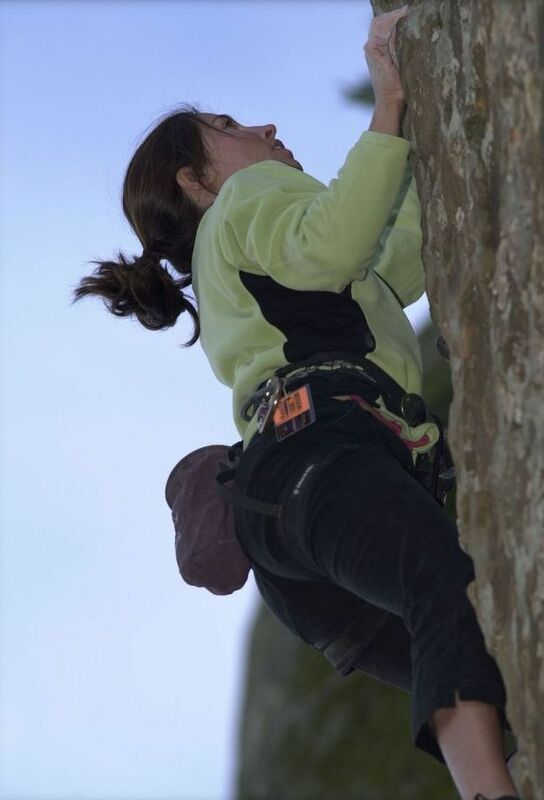 "I'm a big fan of climbing, mountain biking, skiing and trail running — the idea of being able to come work for a tech company and live in a ski resort was a very easy decision." Indeed, Utah's boosters are calling the state's booming tech scene the Silicon Slopes. "We've got a powder rule — 6 inches of fresh powder in the morning, we expect you to go carve some turns," he said. While these two might sound like ski bums, don't be fooled: They are both chief executive officers. Layfield runs Backcountry.com, an online retailer in Park City, Utah, that did nearly $300 million in sales last year, according to industry analysts. And she's hiring this year. "We are hiring people in marketing and merchandising — we are always looking for great gear heads," she said. Layfield needs programmers, product managers and engineers. And it's not just techies who need apply. "It doesn't matter. If somebody great comes through the door we'll find a position for them," she said. "If you are smart and you are passionate about the consumer Internet and building great products. If you want to have fun at work and be around great people, we want to hear from you." Jeremy Andrus might be able to pass as a ski bum, but he's a Harvard Business School graduate. He runs a Park City company called Skullcandy, which makes designer headphones for snowboarders, skaters and surfers. 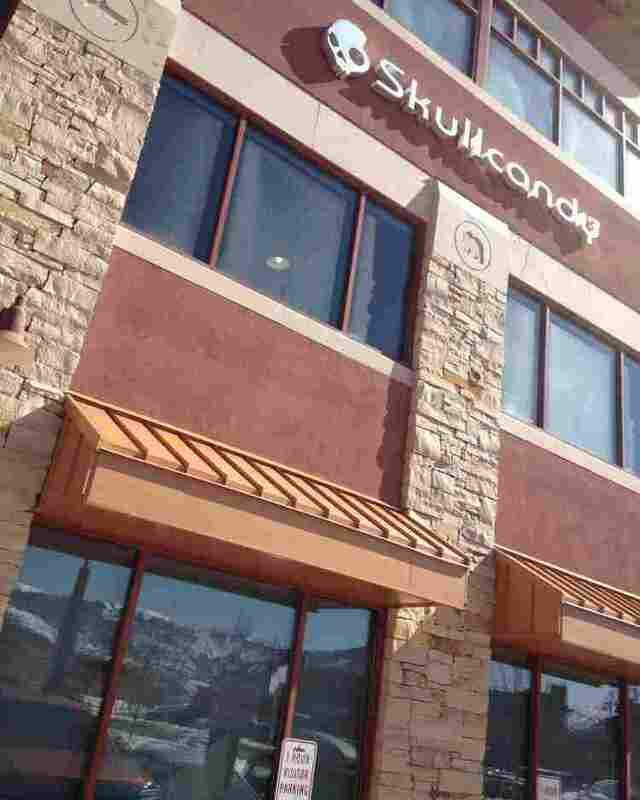 Skullcandy executive Jeremy Andrus says the company's mountainside location in Park City, Utah, is a defining part of its culture. Park City is a defining part of the company's culture. 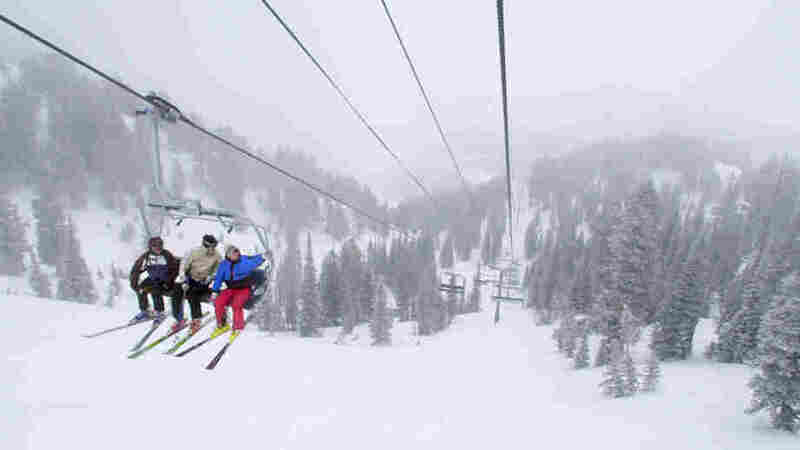 "We buy a season's pass to the Canyons [a local ski resort] for all of our employees," Andrus said. "People value that [when] you come in in the wintertime you are going to see wet snowboards hanging from the wall. You come in during the summer and you are going to see dirty mountain bikes in there." "There are 6,600 companies — tech companies — right here within an hour of where we are at," said Josh James, the chief executive of a Utah startup called Domo and a serial entrepreneur. But Utah's tech economy is taking off for more reasons than just the great outdoors. The state is managing to create a miniature version of Silicon Valley. Hundreds of communities around the world have attempted this trick; few have truly succeeded. Utah was starting with a big disadvantage. It doesn't have research institutions that truly rival Stanford and Berkeley or Harvard and MIT. But officials at the University of Utah and the state government recognized that weakness and took steps to address it head-on. In 2006 the state launched the Utah Science and Technology Research Initiative, or USTAR. The program invested more than $100 million in the state's universities. The goal was to recruit top researchers in key economic areas from around the world. By all accounts the program is working — the researchers Utah recruited to the state are creating real economic value. "Absolutely," University of Utah President David Pershing said. "We have certainly had faculty that have come in the USTAR program and have now started up small companies." The program created even more jobs than Utah officials expected. Some of the academics the state recruited brought existing companies with them. At the same time, the University of Utah took steps to help make it easier to turn cutting-edge research into a business. It reformed its technology licensing system. It created a new vice president in charge of technology transfer and helped introduce business students to the engineers and scientists doing the research. Pershing said that just a few years ago, the school was spinning off new companies at a rate of about three a year, which was typical for a school of its size. "But that was not enough to have a real economic impact," he said. Now the U, as it's known, is spinning off roughly 25 new companies a year. "That's exciting," Pershing said. "Now, they are not all going to grow to be great big companies — and we know that. But some are growing very nicely." Utah has had big tech companies for 30 years — WordPerfect was founded here. So was Novell. But James says a decade ago, landing funding for a startup in this state was tough. To get funding for a business in the state, entrepreneurs often had to fly to California and make their pitches. "I remember early in my career I'm talking to a guy — a venture capitalist — and he was really interested in my business," James recalled. "I'm at Silicon Valley at a cocktail reception. Then all of a sudden he says, 'Wait, wait, wait — where are you at?' and I said Utah and he turns around and walks away — doesn't say no thanks — doesn't say not interested." 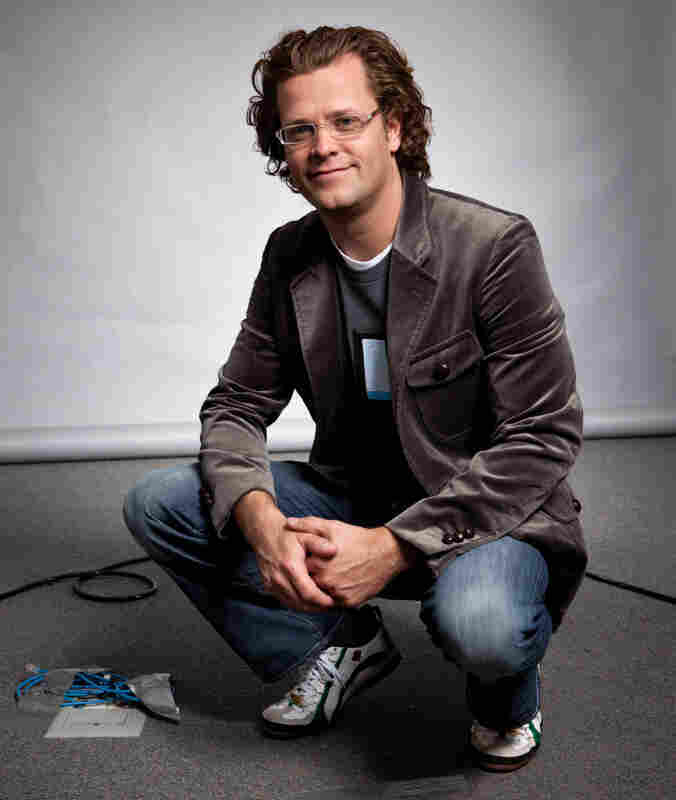 Josh James co-founded the Web analytics site Omniture in 1996, then sold it to Adobe for $1.8 billion in 2009. Domo is James' latest startup. It ticked him off. In fact, James still remembers that investor's name. "I'm like OK — we are going to show you. And we are going to show everyone else," James said. "There were 110 VC investments last year in the state," James said. "Every VC that comes and visits me always asks are there two or three other companies that we can visit while we are there. So there is definitely capital flowing." Last year, venture capital investment in Utah shot up 54 percent. And James, along with other successful Utah entrepreneurs, is reinvesting profits in the state's technology scene. "I've invested in probably 30 deals here in Utah, where I have put in 50 grand to half a million dollars," he said. It's not just startups that are expanding here. EBay has had a presence in Utah since the 1990s. It runs a big call center. "We have moved about 350 jobs from the Philippines back over here to Salt Lake city," says Scott Murray, eBay's vice president in charge of the company's Utah operations. "The key for us is that 20 percent of our transactions are cross-border trade," Murray said. And Utah happens to have the highest percentage of foreign-language speakers in the country. It's the state's secret economic weapon. 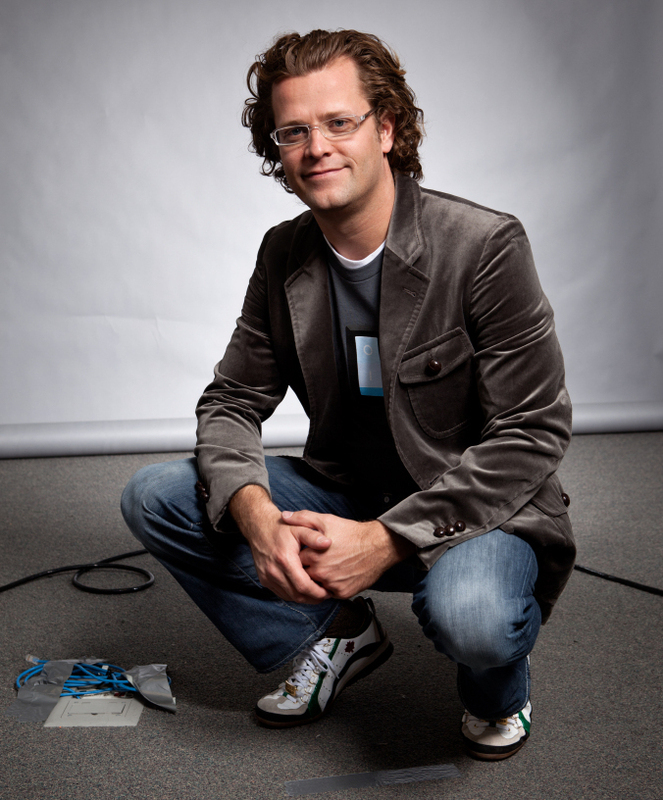 Andrus, Skullcandy's CEO, learned Italian on a mission; James learned Japanese. So at eBay, if a buyer from Brazil has a problem with a seller from Slovakia — there's a good chance the folks here can handle it. "In my department we had a Russian speaker, a Brazilian who spoke Portuguese. We had Filipinos who spoke Tagalog. I think we had one other person who spoke Chinese as well," said Michael Bobo, an eBay employee in the Utah call center who mastered French on a mission. But it's not only eBay that's interested in foreign-language fluency. The National Security Agency recently decided to build a $1.2 billion data center here. The NSA is circumspect about what brought the agency to the state, but economic development officials here are convinced foreign-language skills were a big draw. "That's very definitely linked to the linguistic talent that's here," said Jeff Edwards, president of the Economic Development Corporation of Utah.